Survival on the island. Imagine that your ship crashed and you were stranded on a lonely island in the ocean. Where will some more animals. All you have to ennoble, build a house, plant a garden with trees, to tame animals and to cook food. JourneyMap - Minimap for Minecraft in real time. 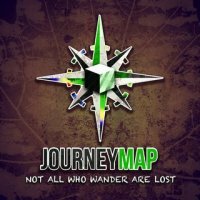 JourneyMap is also a client mod for Forge which adds minimap Minecraft world which you explore in the real world. You can view the map in browser in the game in the corner or full screen. This mod -addition for the fashion Mo' Creatures. It allows you to set the spawn location of the mobs. Without it, Mo' Creatures will not work. Minecraft 1.8 changed drastically the way the spawned mobs. Animals no longer disappear. In other words, the randomness of reproduction has been removed. The world Divercity returns as an epic multi-genre challenge for single or multiplayer games. This map was downloaded more than a million users, and it became no less popular than Divercity I. The legend of Zelda ... in Minecraft. Inspired by the Saga the Legend of Zelda, you will discover a completely new adventure full of mysteries, murders, mobs, items, dungeons and more. About 8 hours of game time to finish the game in the latest version. This mod allows you to install minecraft shaders real! Previously he was known under the name GLSL Shaders. This mod adds support for shaders, but not them. To install them, you need to download additional Shader packs. Starting with version Minecraft 1.7.3 mod now referred to as IC2 or IndustrialCraft2. Support the first Industrial crafting more will not be, but if you really want to install, you can always download it from our site.